Something as simple as a new shower curtain can make a big difference in the overall look of your bathroom. Shower curtains are versatile and are a great place to start when you’re ready to change the decor in your bathroom. Not only are shower curtains a great alternative to shower doors, these practical additions can add drama and style to your space. A dramatic shower curtain makes for a great addition to a guest bath or even a master bathroom. Make a statement by draping fabric from the ceiling as a way to add a touch of softness to a bathroom with tile or a bathroom or shower space that lacks visual interest. This also adds a visual height to your shower area that can make the space appear larger. You don’t have to be a carpentry expert to give your unframed bathroom mirror a new look. By adding a frame to an unframed bathroom mirror you can add a bit of sophistication to your vanity. A great material to choose is wood. A sturdy wood frame can even make the mirror look much more expensive than a standard unframed glass mirror. To get started, you will need the measurements of your mirror, primed baseboard moulding with caps, a mitre saw, pencil, paintbrush, paint, caulk, liquid nails and a caulk gun. 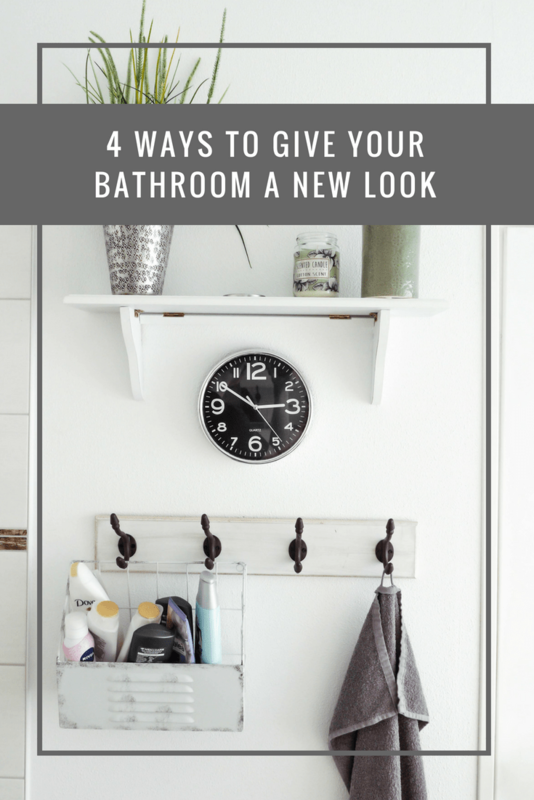 If your current bathroom is outfitted with an assortment of mixed fixtures or if you’re not crazy about the finish of the current fixtures, give your space a new look by changing the hardware. This affordable project can create a unified look in your bathroom space in just a few hours. 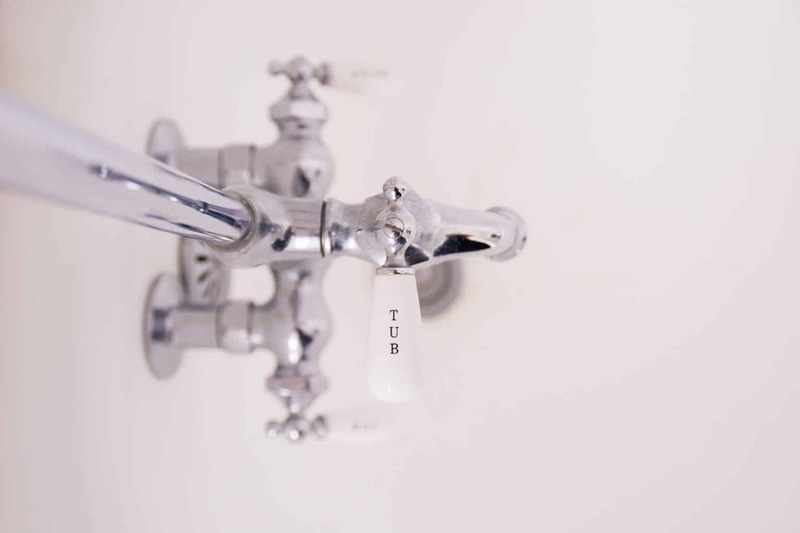 Consider swapping your current showerhead and tub fixtures for something fresh. You might find that a new style such as a handheld sprayer makes bath time and other chores like cleaning the tub easier. And, if your sink hardware and other fixtures have seen better days, opt for something new. You’ll be surprised at how much of a difference this small adjustment can make. A pedestal sink can make an elegant addition to a half bath or a cramped powder room. These space-saving sinks are not only stylish, they give you more space to work within smaller spaces. Plus, pedestal sinks are fairly simple to install with the help and assistance of a plumbing professional. And they’re an affordable addition, no matter your bathroom makeover budget. This style of sink can work well in an array of different bathroom styles but have long been a staple of country-style bathrooms. While you’ll be gaining space with this addition you will be losing out on counter and storage space. Pedestal sinks are not recommended for busy bathrooms where storage is essential, a kid’s bathroom, for example. From a stylish shower curtain to fresh fixtures, these simple improvements can give your bathroom a new look without the price tag that comes along with an extensive renovation. Previous Post: « Is it possible to add colour options to your current stash of pens?